Top of the grand staircase at The Warehouse. 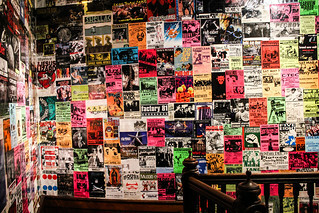 The staircase is wall to wall posters of past gigs. 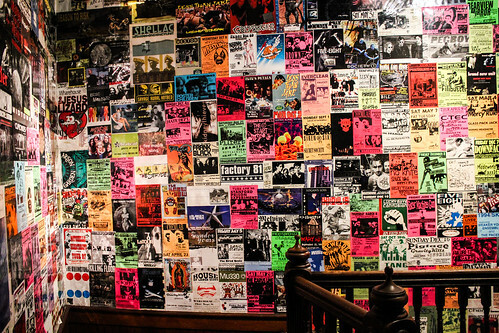 There are even posters on the ceiling!